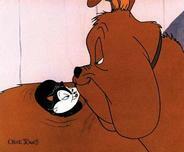 Animator Chuck Jones first introduced Marc Anthony in his film Feed the Kitty, first released on February 2, 1952. 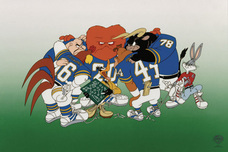 Prior to this, a bulldog looking like Marc Anthony had appeared in previous shorts with Claude Cat and Hubie and Bertie, but it was never named. 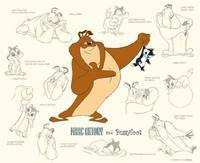 Marc Antony is a burly bulldog that is usually brown with a tan belly and black ears, though his coloration varies in some shorts. 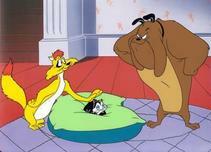 In Feline Frame-Up (1954), Jones pitted Marc Anthony against another of his lesser-known players, Claude Cat.